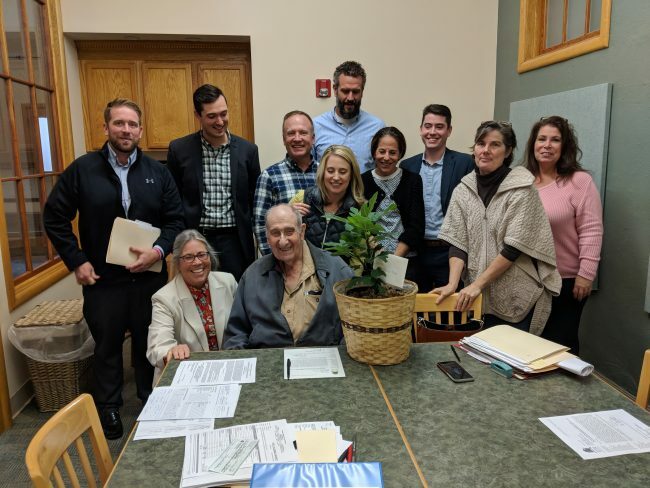 Retired farmer Donald Tooker generously donated a conservation easement to permanently protect 89 acres of productive farmland in the heart of the Town of Wilton. The closing took place on October 24th. The farm, located near the junction of Jones and Old Gick roads, is used for growing alfalfa for the Kings Ransom Dairy Farm and vegetables for the Vincek Farm. In addition, Tooker retails his own honey harvested from 30 hives scattered throughout the area and manages 27 acres of native woodlands on the property. With the assistance of Saratoga PLAN, a not-for-profit land trust, the farm will be conserved primarily for agricultural purposes. 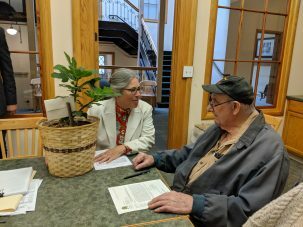 Due to rapid commercial and retail development in the vicinity, combined with the level sandy soils of the land, the development rights are very valuable and the donation of the conservation easement a generous gift to the community. The views of open fields from busy roads, the replenishment and cleansing of groundwater reserves and stormwater absorption, clean air, and climate moderation are a few of the other public benefits this protected farmland will continue to offer the public throughout time. Saratoga PLAN secured $32,144 in funding from Saratoga County, $10,000 from the Town of Wilton, and approximately $25,000 in private donations that will be used for transaction costs such as the survey, title insurance and legal fees, and to support the perpetual stewardship of the conservation easement by PLAN. Tooker is a retired farmer who formerly ran a dairy and a sawmill on the site and still plants his own garden and freezes his vegetables for the winter. In the past 12 months Saratoga PLAN has conserved seven farms in Saratoga County, protecting 858 acres. PLAN currently has 10 additional farm projects in the works.